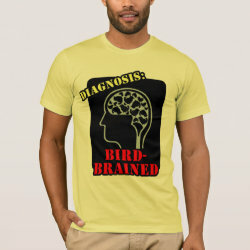 This design shows a disturbing image of a brain infested with birds. 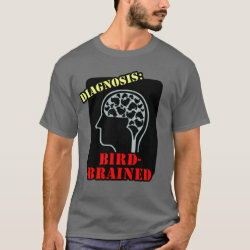 Instead of healthy bumps and grooves (gyri and sulci), there are little bird-shapes. More... Looks serious. 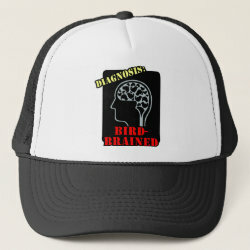 Have you always got birds on your brain? 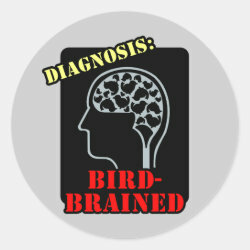 Then you're bird-brained, and this x-ray shows your brain on birds. 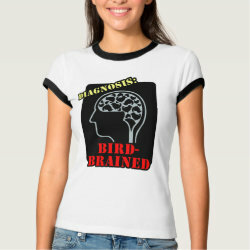 But there's nothing wrong with that diagnosis, really. 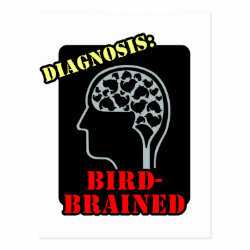 Diagnosis: Bird-Brained Kitchen Towel 16" x 24"